Alan Gross is in prison for bringing personal satellite equipment into Cuba and a plot to smuggle dishes in disquised as surfing equipment was foiled, but it seems that a clandestine business operating out of Miami has succeded where they failed. 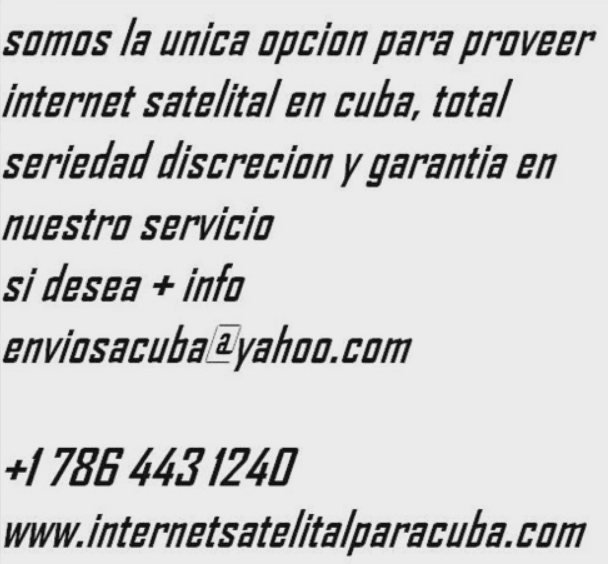 According to articles in the Miami Herald and El Nuevo Herald, the anonymous businessman has sold at least 35 personal satellite systems in Cuba -- for Internet access and low-cost international calls. The anonymous business man runs a Web page which redirects to a video showing images of dishes, which are presumably in Cuba. SI NECESITA SERVICIO DE INTERNET EN CUBA LE PODEMOS AYUDAR CON NUESTRA EXPERIENCIA, ALTA VELOCIDAD AL ALCANCE DE SU FAMILIAR, FUNCIONA PARA TODO LLAMADAS VOIP, DESCARGAS, CAMARA, VARIAS PC CONECTADAS,SOMOS LA UNICA ENTIDAD CON EXPERIENCIA PROBADA PARA HACER ESTO EN CUBA, EL SISTEMA INSTALADO ALLA CUESTA 3500$ PAGOS ANTES DE ENVIARLO, PARA MAS INFO 7864431240. 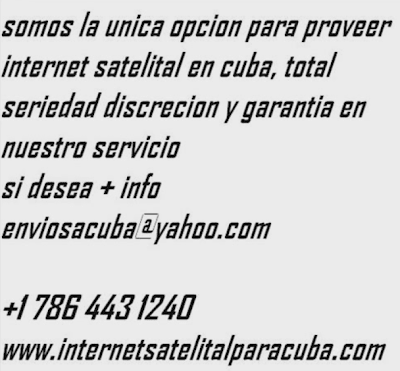 The articles also quote Ricardo Arevalo, general manager of Exede, a company that leases satellite internet equipment, as saying the "number of such systems in Cuba is closer to 300." These systems are not cheap by Cuban standards -- getting the equipment in and installed costs between $3,500-$4.200, paid in advance in Miami. The bills are generally paid for by families members who live in the US and it seems that the motivation is purely business -- cheap phone calls and Internet access -- not political. These reports leave me a bit skeptical -- it seems it would be too easy to entrap customers -- but, if these reports are for real, Alan Gross and USAID could have saved a lot of the taxpayer's money and Gross could be a free man. The video this post linked to was taken down. I've revised the video link and it works at least for now. I also tried to contact the installation company, but they did not reply to an email or call. Before HughesNet stopped servicing them, this post estimated that there were 30,000 illegal satellite dishes in Cuba. If that estimate is even remotely accurate, it makes what Alan Gross was trying to do look very small indeed. Presumably, HughesNet cut their Cuban users off because they feared US government sanctions, but the government has now indemnified US companies against such sanctions. I believe HughesNet provides connectivity to many of the embassies in Cuba and I wonder if they would now be willing to resume servicing those illegal accounts. I also wonder whether the Cuban government would allow a pilot test of satellite connectivity to a trusted site like a rural school or Youth Computer Club. I don't even wonder whether they would allow retail satellite links, but wouldn't that be nice?